Google doesn't charge for faster access because "it's really a win-win-win situation." A few months ago, Netflix paid an undisclosed (read: very, very large) sum of cash to Comcast in order to more directly access its network. This sort of "colocation" deal -- putting Netflix hardware in the same buildings as Comcast hardware -- ensures that Comcast won't throttle down on Netflix content as it goes out into Comcast's network. Netflix paid the money (and made a similar deal with Verizon), but it's not very happy about paying the money. That's why it's using Google Fiber as a free colocation ally, if this Google Fiber blog post by Network Engineering Director Jeffrey Burgan is any indication. We have also worked with services like Netflix so that they can 'colocate' their equipment in our Fiber facilities. Netflix has placed their own servers within our facilities (in the same place where we keep our own video-on-demand content). Because the servers are closer to where you live, your content will get to you faster and should be a higher quality. We give companies like Netflix and Akamai free access to space and power in our facilities and they provide their own content servers. We don't make money from peering or colocation; since people usually only stream one video at a time, video traffic doesn't bog down or change the way we manage our network in any meaningful way - so why not help enable it?" Google Fiber is, admittedly, not the broadband powerhouse that Comcast is. Well, it is in terms of speed, but not when you look at customer figures (a gap that start closing later this year). But that isn't stopping the Google Fiber team from opening its doors -- and network -- to content providers, free of charge. 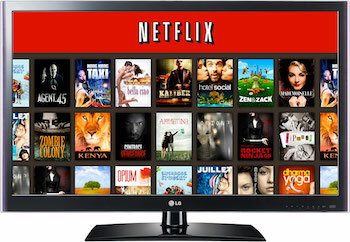 The relationships that Netflix has with Comcast and Google Fiber are polar opposites on the net neutrality spectrum. Google says free colocation for content providers is "win-win-win" because it provides the Netflix's of the world to up their game (4K video), it brings down costs for ISPs (transporting video data from a local Google Fiber station, instead of across a country/region/state), and it keeps customers happy because they get the content they want (and usually pay for) as quickly as possible.